Languedoc Roussillon is an area of France that I have paid very little attention to, luckily the great French wine importer Cynthia Hurley has. My friend John Finkel owner of Magnolia's Wine and Spirits recommend this Cynthia Hurley import, Ancestrale, Saint Chinian, 2005 from Domaine Des Jougla. It is a delicious wine from start to finish. I live the idiom "Variety is the Spice of Life." And in the world of wine there is always new varieties. 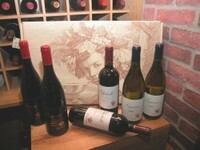 I take great joy in finding new and different wines and sharing them with you. At the same time there are certain regulars that I love to go back to. Very good reliable wines that are perfect year after year. Here is one in the 2007 vintage of Zenato's Lugana San Benedetto. I have enjoyed this wine vintage after vintage for over 10 years. It is a wonderful white wine that works well with many foods and will appeal to many tastes. It can be found in most wine stores for $11-12. Hey, I am one lucky guy. Got a year of great wine with Amanti Vino's Wine Club for my birthday. Hurray. As you may have noticed I have very eclectic taste in wines. When I visit Amanti I am in like a kid in a candy shop . They have such a great selection of interesting wines and this is shared well in their wines of the month. Started off with the September Club Goda selections of a Spanish wine, Primativo Quiles Raspay, 100% Monastrell. And an Italian, Cantina del Taburno “Torlicoso”, 100% Aglianico. When you step off Duane Street into Kurt Gutenbrunner's Blaue Gans "Wirsthause" you may feel you have been beamed to Hamburg or Vienna. There are far too many reviews praising the many delights of this lively pub for me to add much more. The food is great, authentic Austrian with many twists. The staff perfectly entertaining and engaging. Let me tell you about two unique wines we had at Blaue Gans - Blue Goose. Bordeaux is the land of the most exquisite and most expensive wines in the world. Yet since 2005, which ended up being one of the greatest Bordeaux vintages of the last 100 years, and by some accounts since 2001, Bordeaux has been suffering from a glut of product and world competition. In some cases this has resulted in wine makers digging up vineyards and turning excess wine into ethanol. Top tier French wines still prevail on the high end of the market. But some producers and Negociants are competing globally by producing lower cost good Bordeaux wines. Here are two I tried recently. 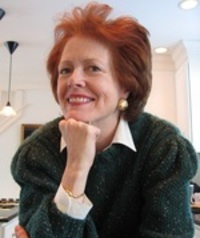 Technology has had great impact on the production of "New World Wine" and over the last few years it is has had a great impact on the marketing of wine. Wine 2.0 NY was an event produced by the people behind the Wine 2.0 Social Network site, Smoke, Cornelius and Stone. The event showcased how far the use of technology has come. Corresponding with the Web 2.0 Expo in NY it focused on how Web 2.0 technology is opening up a whole new world of communication, networking and sharing of information about wine on the Internet. 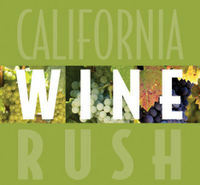 I had the wonderful opportunity to attend this amazing event last week, California Wine Rush. It was the final step to the realization that I have not given California wines the attention nor the recognition that they so rightly deserve. After spending 10 days vacationing in California this August, seeing the film Bottle Shock, and then attending this event I have finally seen the light. California wines are remarkable and outstanding in so many ways. 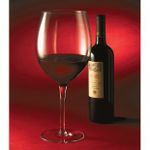 I've added a new category to Mano a Vino - California - which I will be populating with pleasure.